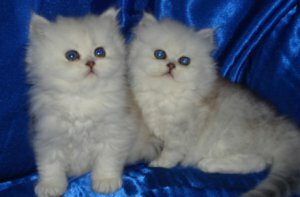 Solid little kittens, with excellent ear positioning, beautiful coats and emerald green, Blue/green and blue eyes. From PKD negative parents, they have full vaccinations including preventitive flea and worm treatment. they Come with 5 generation pedigree (registered with SACC), micro-chipped, food parcel, favorite toys and free 4 week insurance. Raised underfoot in a family setting, very soft, cuddly kittens, all very used to being played with and carried round the house. They just love attention. Also fully litter trained.